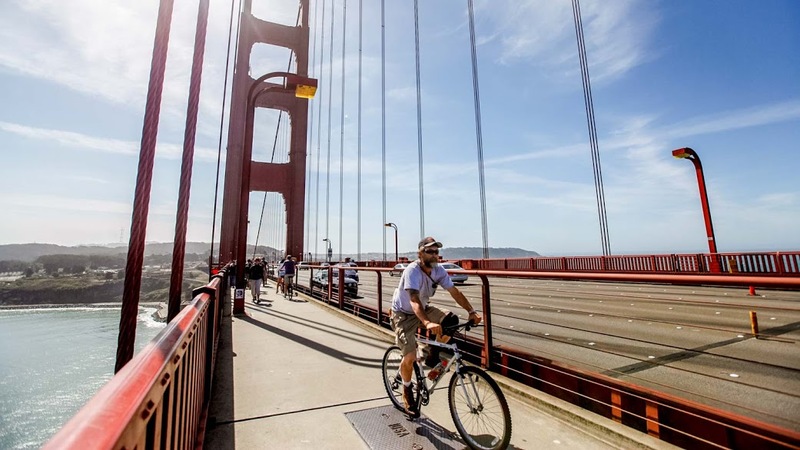 Ride an open minibus around San Francisco's best neighborhoods, Pacific Heights and the Golden Gate Bridge. Get insider insights from a local guide. 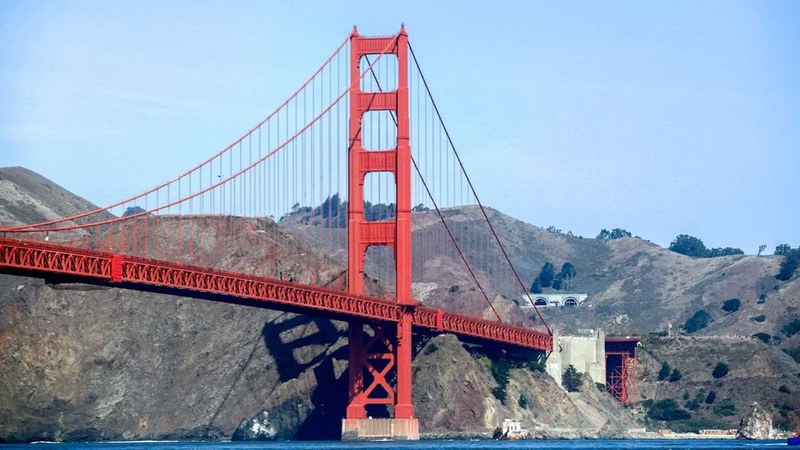 The iconic Golden Gate Bridge connects San Francisco with Marin County to the north, and over two billion cars have driven across the suspension bridge since it's 1937 completion. But how else can you enjoy the bridge? Here are some tips. 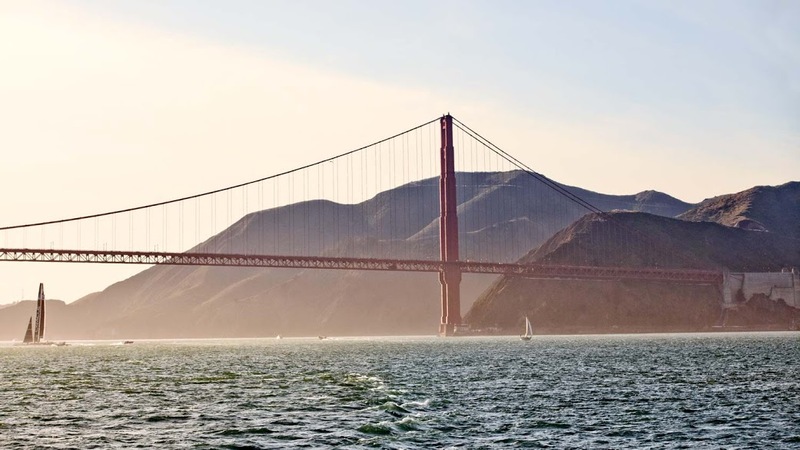 Sail around the bay, under the bridge, and around Alcatraz Island. Not only that, but you can also keep your eyes peeled for wildlife, such as dolphins and pelicans! Why not stop off at San Francisco's famous Alcatraz prison? Spend a day learning about its unusual history and location while you gaze at the city far away. Get onto the viewing platform at this turn-of-the-20th-century military installation and enjoy the panorama. Make an afternoon of sitting on the lovely shore, just off the Coastal Trail, and admire the bridge at sunset. Just be aware that the northern part of the beach is for nudists! 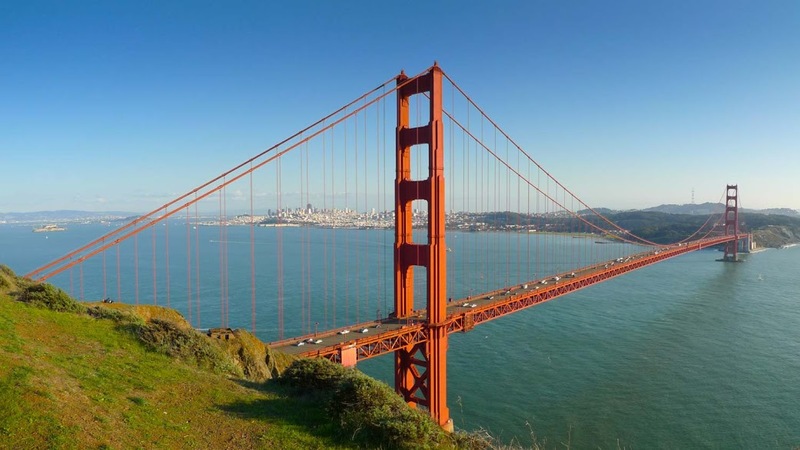 Want to take in the full scope of San Francisco's famous red structure? Then get on it! The only thing better than walking across the bridge has got to be crossing it by bike! Northern California enjoys more temperate weather than its southern counterpart, but it'll still be quite warm. Check the forecast - you don't want your trip to be spoiled by rain! If you're planning to view the Golden Gate Bridge from Alcatraz Island, please be aware that Alcatraz is a separate attraction and you'll need to buy a ticket for that in itself. Otherwise, all viewing spots are a matter of navigating public transportation! How long does a cruise take? Most of them take around an hour and a half, although you may need to get there 20-30 minutes before departure time to ensure your place. The views are available all day, year round! Traffic restrictions may prevent crossing the bridge at certain times. It's always free to view the bridge, but we suggest looking at a few architecture tours to better comprehend the engineering. 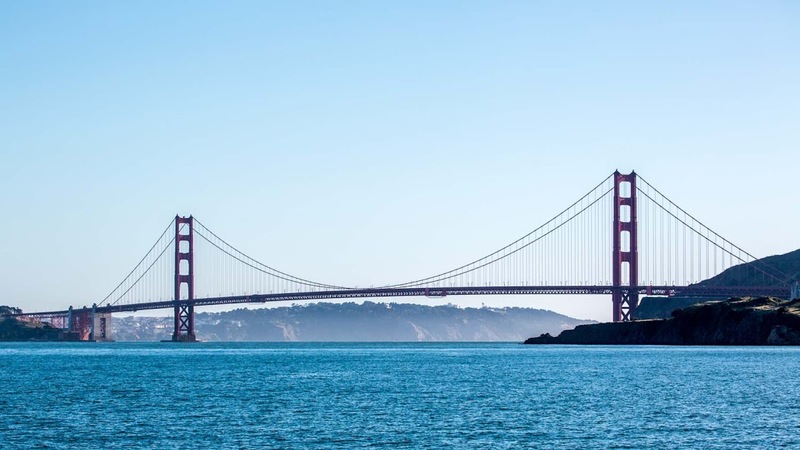 No -- but here's one idea: book a cruise through San Francisco Bay, and you will be able to take some amazing photos from the water. There are many public transportation options available, so take a look, as routes vary depending on the starting point. Parking in the area is extremely limited, so take public transportation if you can. Make sure you look out for construction alerts (available online or at any tourist information center), in order to avoid scheduled bridge closures. Great fun, Tre was very knowledgeable and made our tour exceptional! Great tour of San Francisco, our guide Tre was very knowledgeable and myself and my 2 girlfriends I went with had a wonderful time. Loved the trifecta, Redwoods, Sanoma and Nappa all in one day. Our driver and tour guide Joe was a delight and very helpful. Great tour, great equipment, well done and professional! Our tour to Muir Woods and the winery tour of Sonoma and Napa was a great day to spend a day out of the City by the Bay. It was on 11 March. The tour included a small detour for some great pictures of the Golden Gate Bridge. Lunch at Sonoma Valley on a sunny March afternoon did not just taste good, it was a burst of fresh colours around the park. The wife loves cherry blossoms - now we know Japan does not have a monopoly on them; the stretch of cherry blossoms on the way out of Cline vineyard was as impressive as those we saw in Japan. The view of the lush green landscape was very impressive. A great day for pictures. Kudos to our tour guide who was superb and made the whole day a great day. Cheers.